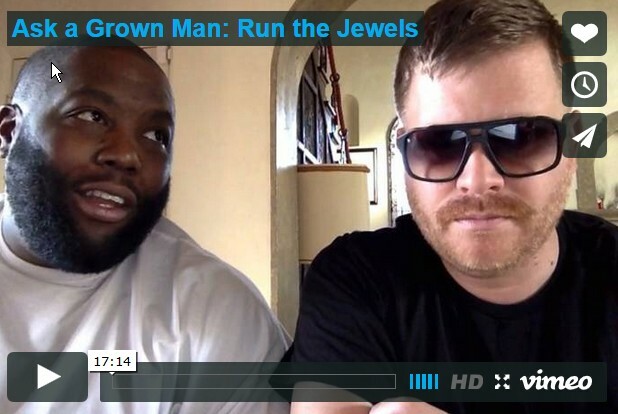 El-P and Killer Mike make up Run the Jewels. Their “RTJ 2” record has many PoOPsters and other critics foaming. Here they offer advice to to girls as part of the “Ask a Grown Man” series. Got two turntables and two iPhones? You’re a scratchin’ demon DJ! A remarkable song deserves a remarkable video: Jamie Woon “Night Air” – Official vid. Robyn covers Bjork (with Bjork watching) and makes it work! OT: The most disingenuous TV spot ever?